After criss-crossing the country for a few weeks, our bags did eventually get packed for our trip. Painful? Yep. Did we pack too much? Probably. Our reasoning was that we’re moving into a van and therefore we wouldn’t need to actually carry all our belongings on our back. But first we had two more stops to make. 4 checked bags and 4 carry-ons...whew. 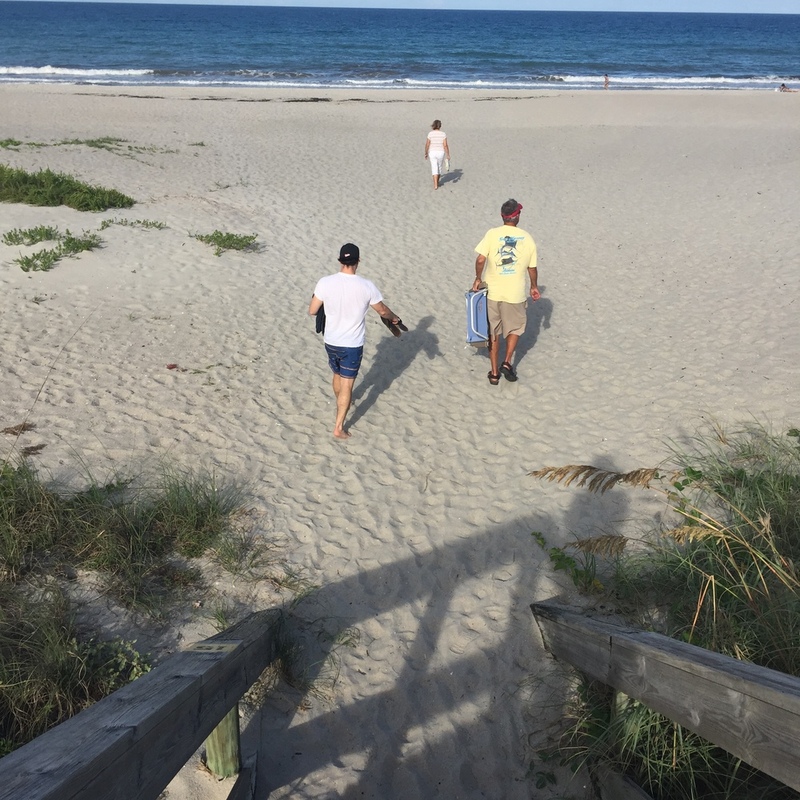 With just under a week left before we fly to Santiago, we took our last respite with family in Florida. We spent a relaxing couple of days with Shannon's grandparents in Tampa then drove back to Kissimmee to spend our final days in the States with Danny's aunt and uncle. Before heading to Shannon's grandparents in Sun City Center, we stopped for dinner with Shannon's uncle Tim and learned that restaurants in Florida are enormous, especially when they are connected to the Bass Pro Shop next door. 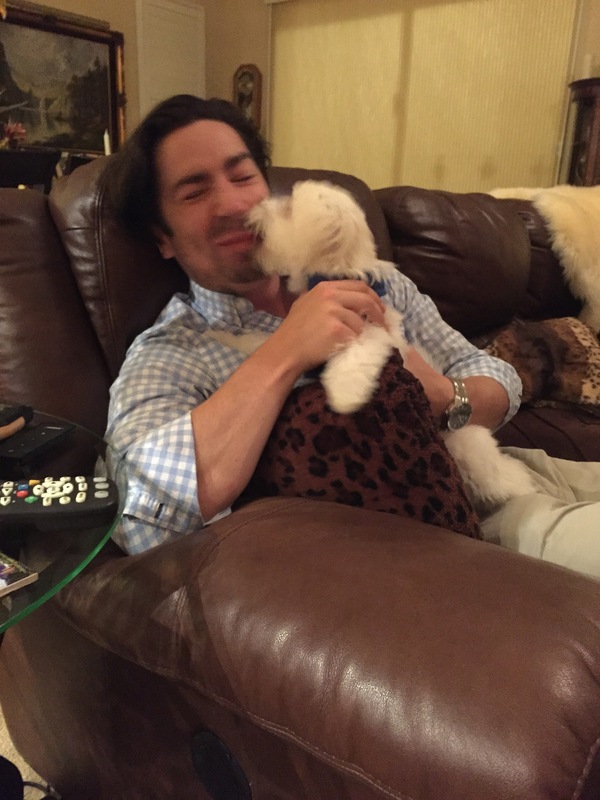 After dinner, we arrived at Shannon's grandparents' house to be greeted by Kimo, their enthusiastic Maltese puppy, and yet another dinner! To say we ate well those few days is an understatement. The next couple of days we tried to work off some of the food with workouts at the Sun City fitness center, relaxed by the pool, and had two more wonderful dinners with family. We also noted that Florida has the biggest Walmarts and gorgeous sunsets. Shopping with G Honey. 16 full floor to head height freezers of ice cream at the Sun City Walmart...we're American and we're still stunned by it. On Saturday, we made the drive from Tampa to Kissimmee to visit Danny's aunt and uncle. We joined in for their weekly trivia night and helped the team get their first win! Our contributions? Danny got Robert Downey Jr. for top 3 highest past actors in the past 3 years and Shannon got Uggs for an Australian company specializing in boots and footwear. After a much needed morning sleeping in, we hopped in the car to to experience one of Florida's premier attractions—airboats! These things are seriously loud and seriously fun. The wildest part is flying over what looks like land (it isn't, it's lily pads and water grasses). Uncle Mike and Danny doing it up Florida style. Later that afternoon, we headed out to Melbourne for a late lunch and then the beach for a swim in the Atlantic. Just two weeks before, we were swimming in the Pacific! Just love the East Coast beaches with the dunes and grass. 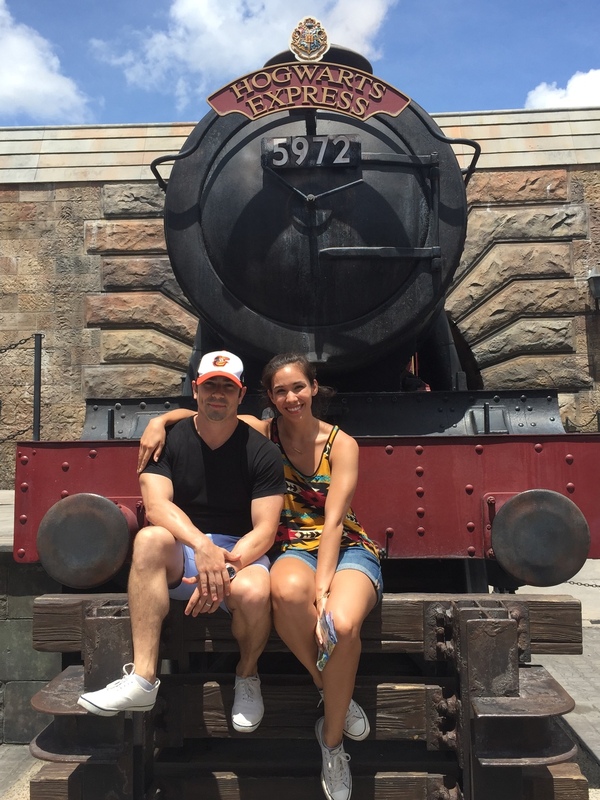 Which brings us to our last full day in the States where we had the most magical experience of all—a trip to the Wizarding World of Harry Potter!!! While a bit jarring to wander around Hogsmeade in 95 degree weather while looking at snow and eating heavy winter food (think Shepherd's Pie and turkey legs), it did not disappoint! Yes, we're smiling, but inside we're wishing for the snow to be real. We spent most of the day in the Harry Potter land riding the Dragon Challenge roller coasters (if you go, the Chinese Fireball is more fun) and the Forbidden Journey ride (don't worry if the wait is long since you'll want that time to enjoy the stunning detail inside Hogwarts), before exploring Jurassic Park and the Marvel Universe. Of course we decided to keep the wet rides until the end (never underestimate those log rides with the drop at the end) which meant a soggy car ride home, but we were happy and exhausted. After pizza dinner with Danny's family, this time including his cousin and his cousin's wife, we headed home to check the last few things off our list before our flight to Santiago. That's right, our next post will be from South America—finally! All in all, we were incredibly grateful to have these few weeks in the States to make some sweet memories with awesome people. And now we're ready for whatever adventure is coming next. See you on the other side!